The film has been buzzing all around the Tollywood industry since its inception and the anticipation increased with every song, posters, etc. which released. Sarainoud trailer which is 90 seconds got huge appreciation. Well, its music didn’t get the expected attention. Still, the audience has much more expectations from the movie as it is visible from its advance booking. 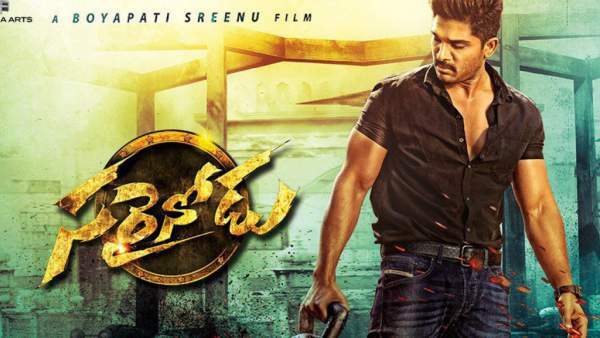 In Sarrainodu, the action thriller Allu Arjun is portraying a security officer. The story appears to be an ordinary one. However, the stylish action sequences are its key highlight. As usual, the script is not the much convincing one being a masala film. Most of the people go to watch movies to watch and get some logic, but sometimes clever action sequences do the job. However, it doesn’t always implies a guarantee of a successful film. Logic isn’t there in Sarainodu (Telugu) movie. The absence of logic will make you laugh at certain moments. The biggest problem with this film remains to be its romantic story. The audience is not able to connect with the storyline and the angle at which it has been presented. The romantic track seems too distract. It should have been more appealing. Editing has not been up to the mark. The film stretches to 2 hours and 40 minutes which makes it a little long. However, you still will be able to enjoy it with its witty and silly moments and the credit goes to Boyapati Srinu. Allu Arjun fighting with his arch-rival is very much satisfying although it is designed with a regular good vs. evil way. It is a smooth film. However, the errors in screenplay attract the whole attention. S Thaman composed the music, and it is average. On a positive note, the background score is good and thrilling. Rishi Punjabi did the cinematography and is spot on. Watch it on big screen adds values to the production quality and then it becomes a delightful movie to watch. It was after a long time that Allu Arjun synced in a character this well as if it was written for him. He has completely nailed the role, especially in action sequences. His dance moves are to die for. Catherine Tresa does well in her role. Rakul Preet Singh barely has a presence in the film. It’s high time she really needs to raise the bar of the roles she accepts. On the whole, it can be said that Sarrainodu is a masala action thriller filled with entertainment and only entertainment. Masses will like it. It is not very extraordinary film, but also not of a kind that you should entirely miss it. If you have watched the movie, then don’t forget to share your Sarainodu movie review in the comments below. Check what others have shared. Stay tuned to The Reporter Times for latest Tollywood news and updates. Feel free to share it on social media sites.